After I had done my first test of the RSP1A I realised that the comparison I did was rather unfair. The SDR was connected to a cheap laptop, and cheap laptops usually have awful audio cards. Especially in comparison with the Cakewalk UA-16 I use on my main PC! So I moved the radio to the main PC and decided to do another test. This time, I recorded 20 seconds of audio from a very weak KONP 1450 kHz to the RSP1A, the Cloud-IQ and the Perseus (Jaguar software). So you can listen for yourselves. Sorry that the line level of the Perseus came up a bit louder than the other two. The sequence is: 20 seconds RSP1A, 20 seconds Cloud-IQ and 20 seconds Perseus/Jaguar. Software used with RSP1A and Cloud-IQ was SDR Console V3, USB mode, 2.8 kHz bandwidth (Perseus 3.2). The audio is recorded today at 12:30:00 to 12:30:20 UTC. Apart from this, I have compared the RSP1A to the Cloud-IQ on various frequency ranges, various software (HDSDR and SDR Console V3), but only with the 2,048 kHz bandwidth. It does in fact fare well. Below are the RSP1A (left) and Cloud-IQ when connected to a 500-metre, 50-degrees beverage (the Asia-Pacific antenna). First 10 minutes of use: Not bad for USD 100. Setup was ok, I chose to use HDSDR and when default setup was chosen, it was up and running. I needed to push LNA all the way up (which turned out to be UP towards zero!) for best sensitivity though. Speaking of which: Not at the Perseus level, but not too far behind. Here's an audio file from KLAM Cordova Alaska 1450 with a relatively strong interfering signal on 1449. RSP1A is set up with USB, 2.7 kHz bandwidth. The Perseus is also set up with USB, but 3 kHz bandwidth. Antenna: 340 meters long beverage directed towards western North America. When I tested on KHKA Honolulu 1500 (below), the difference in sensitivity was noticeable with KHKA having audio and being partly readable on the Perseus. The RSP1A could only barely hear audio. For sure not an SDR to replace the Perseus-grade SDRs. The price-performance ratio is good though. This 1-kW relay of JOER 1350 was heard with a good signal in September 2016. 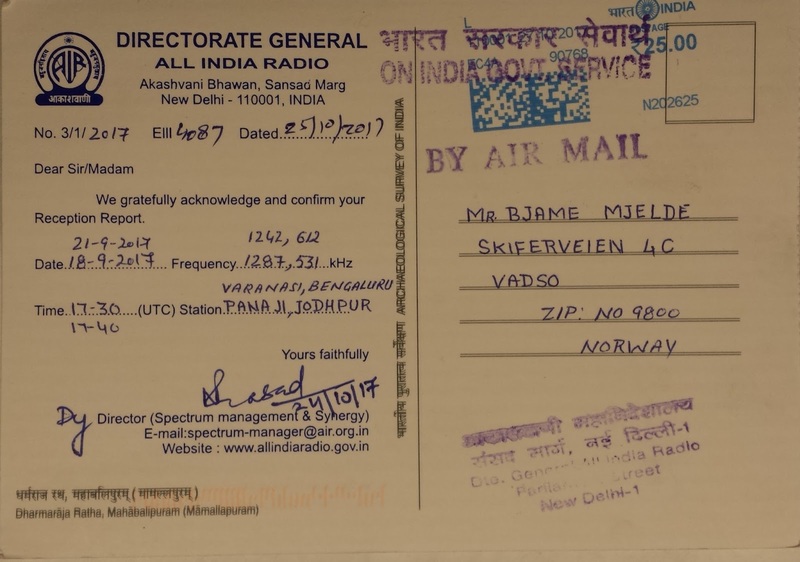 I sent a report in April and received a QSL card today. During October I was able to log the missing frequencies for HBC. 801 with 100-watt relays was a bit tricky while the 1-kW 1494 relay is easier to hear, although JOYR RSK is the dominant there. 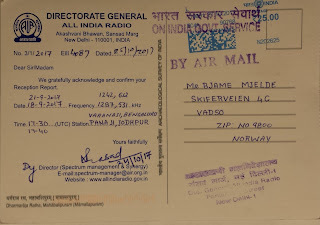 In addition to QSL cards I also received a personal letter from the Programming Manager. 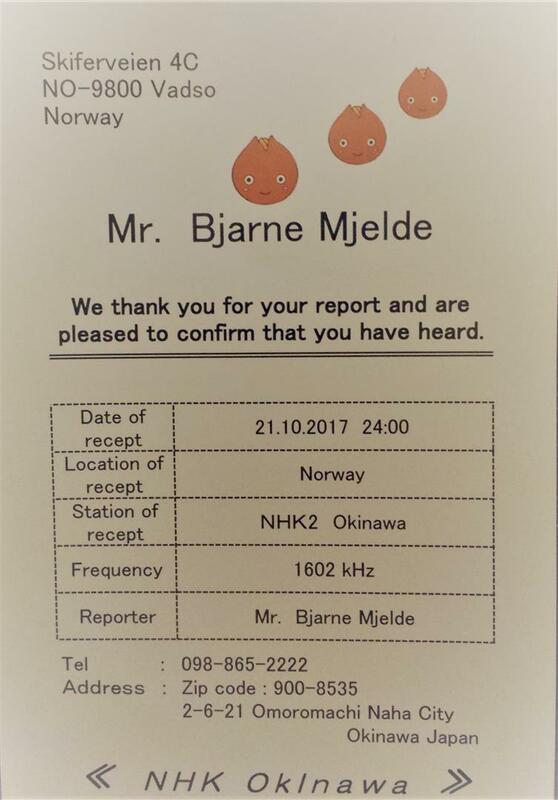 Hokkaido QSL #25. JOEF Yamagata Hoso tends to dominate 918 during good conditions to Japan. One evening in October, Yamaguchi Hoso did surface, and let off a "KRY" ID just as YBC was holding its breath. QSL card and schedule received today. All three frequencies (765, 918 and 1485) now confirmed. Those on 918 are both 1 kW. 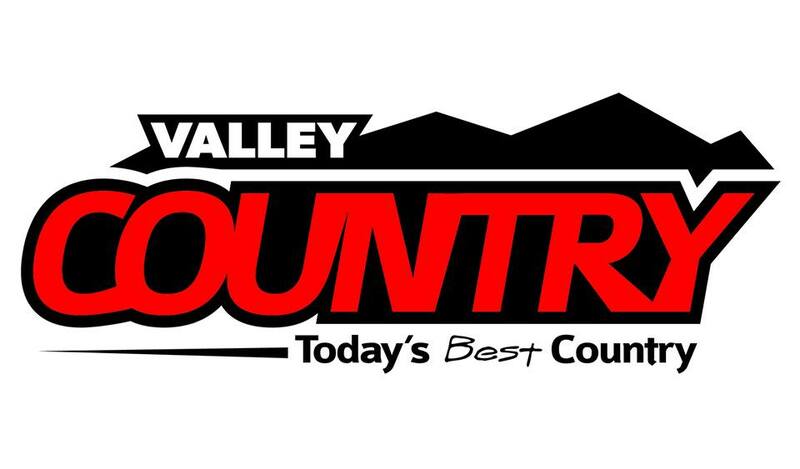 This Real Country station was heard a few days ago. The last time I heard KFLN, in 2015, I didn't receive any response, but today I did. CFAC was weak for a change. "ESPN Kansas City" was heard one fine night in November with a very good signal. A quick Facebook response this afternoon confirmed my Missouri station #20. Thanks Ole. 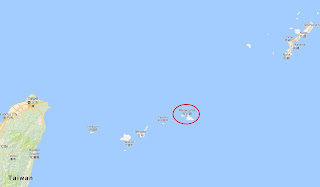 I have been chasing this new Radio Kiribati outlet since I read that they had started transmissions on November 25. Finally I found a rather weak signal in parallel, but with significant audio delay, with their much stronger 1440 station. 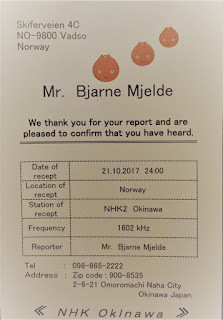 The NHK signal on 846 wasn't too strong at the time, and the multiple Chinese stations were absent, so I was able to make a decent recording which was confirmed. MW station #120 from the Pacific. This 1-kW relay station of NHK-1 Morioka was heard in October with a fair signal. Friendly letter received today. KSJK has been heard before, but at the time no reply. It was heard again this autumn though, and Ole Forr found a kind person who confirmed his report - and then confirmed mine! Talent is a small town mid-way between the larger cities Ashland and Medford, which are likely the main markets. Russian is not a common language to observe on North American radio stations, but there are a few. Like KXET, licensed to the small town of Mt. Angel, but with a potent 25 kW daytime signal directed north-east, profiled as Slavic Family Radio. 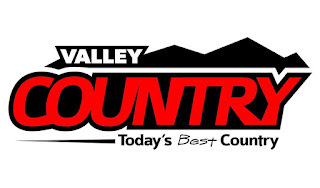 Owned by Bustos Media, who confirmed my report today. Thanks OJS for info. I heard SIBC briefly many years ago, but at the time only by comparing audio with its 5020 kHz outlet. In October 2017, the signal was quite good, although mostly under the Newstalk ZB Wellington signal. A reference to their web page secured a proper ID, and a friendly email a couple of weeks ago secured my 13th Pacific country on MW. 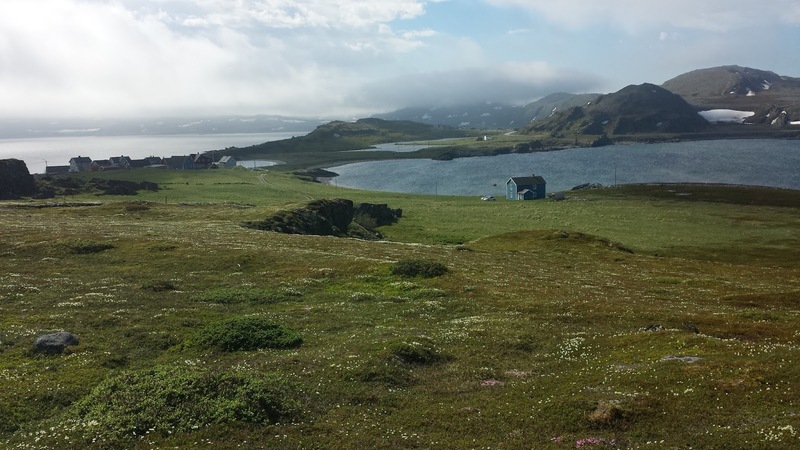 SIBC returned to Kongsfjord in early November with another good signal. Lots of traffic on my KiwiSDR this October - so much I had to increase the mobile broadband cap. No worries for me though, as donations were very generous. I expect to keep the high (100 GB) cap for November because usage is very high. The current money should last well into December. Thanks everyone! KWG had a very good signal at 12:00Z today with Relevant Radio programming and local ID on the TOH. It took only an hour to receive a confirmation. California # 60. WHHQ was heard with a fair signal level on October 8, one of few openings in the early part of the season. After a couple of tries, email response this afternoon. It's a bit off and on if AIRs Spectrum Manager responds to my web reports or not, but anyway, today came two. Patna is relatively easy to hear, while Chhatarpur has a lot of competition on the frequency. KJLT was heard with a fair signal but mixing with KFBX Fairbanks AK one morning during KONG35, and with a wording of their ID which was remarkably close to that of KJNP North Pole 1170! Anyway, I received a friendly reponse from their GM (who's also a HAM operator). Thanks Ole for v/s info. A very surprising visit during KONG35 on October 16! Very friendly email response as well. We enjoyed a good opening towards New Zealand a few days ago, and three new NewstalkZB stations were logged. Two of the stations are located on the South Island, with Oamaro 1395 the most distant one at 16,492 km. Not bad for 2 kW. All three were confirmed with an email this afternoon. Total NZL count on MW now 31. FBC upgraded their AM services last spring with financial support from Japan. 558 and 990 kHz were put on the air with 10 kW transmitters. On the 21, we succeeded in hearing 990 with a good signal, good oldies music and a great ID! Email response today for my third Fiji on MW. Unfortunately, 558 was drowned in noise at the time. KONG35 is over! Odd-Jørgen, Ole and Torgeir left today at 07:30 local. The day before was rather uneventful with regards to North America, although signals were present well into the afternoon. A little better towards the Pacific though! A short opening brought quite a few NZL stations. One worthy of particular mention was 2 kW One-Double-X from Whakatne 1242 which dominated over 100 kW JOLF quite a while. Myself I haven't heard it since 2007. We have also been waiting for Fiji to show up after their MW transmitter upgrades, and they did! 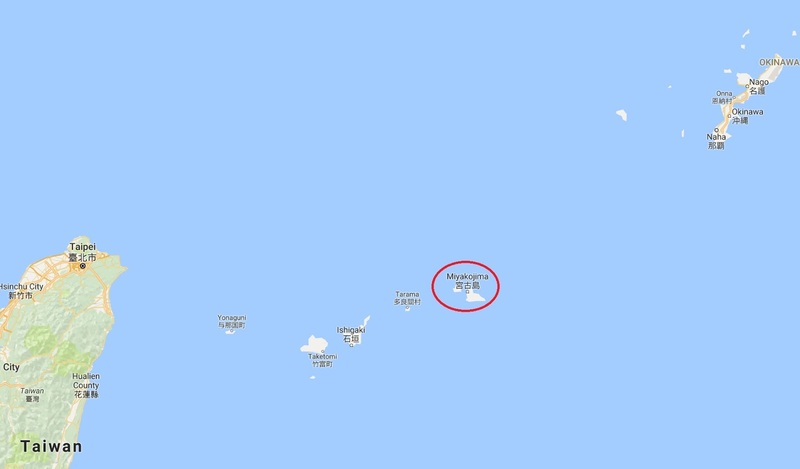 A couple of low-power NHK outlets were also identified in the afternoon and the evening. Our last KONG meal is always reindeer tenderloin. For starters, we had the Swedish Västerbotten pie. With the loins we had a "stew" of fried onions & creme fraiche, and a paste of carrots, celeriac and potatoes. A worth wine companion was the Felton Road Pinot Noir from New Zealand. Dessert: Home made Créme brûlée! The SDRs in Kongsfjord will now run throughout the winter, remote-controlled. Hopefully, we will see (or hear) good openings in the months ahead. OJ Sagdahl spotted this one during freak conditions on October 16, surfacing long enough to give a nice ID. Brief email confirmed my reception yesterday. 530 watts days and 27 nights, so a nice catch. Thanks OJ! Kansas # 25. KLTI True Country was heard on October 15 during a freak opening when the normal dominants (such as KKAA) were absent. Friendly email today with some station info, such as below. Fourth Missouri station in a row. Conditions towards North America mostly followed the trend from previous days, so nothing much of interest. However, we finally got a decent opening towards New Zealand! Most welcome. So far we haven't sorted out what might be hiding in the recordings from Australia, but Gold MX in Albany, WA had a very strong signal on 1611 for quite a while on the 80 degrees beverage, so maybe there's hope for new WA stations. (It was actually DWNX in Naga, Minandao, "NX Gold"). Strong signals towards Japan in the evening resulted in a couple of new ones. 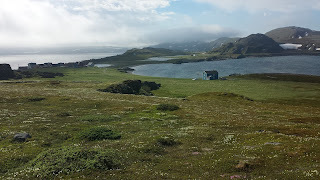 As usual, when we near the end of a KONG expedition, we head over to Kongsfjord Guesthouse for a meal. This year, we also enjoyed their new sauna! As usual the dinner was excellent, this year we had smoked lamb with potatoes, waldorf salad and a carrot paste. We then headed back home for a Boulevard Tank 7 and more DX. The weather's not been nice to us today. 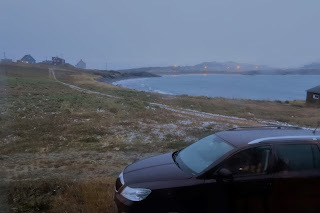 Windy, and with (too) frequent showers of sleet. Temperatures around 1-2 Celsius. It cleared up a bit in the evening though. Below is Ole's Škoda in the morning hours. We had hoped that the K-index would sink to a 0-2 level. Alas, it was not to happen. Signal strengths were ok for most of the night, but it was mostly the usual dominants. Asia conditions were also late to recover, and the intermittent noise was back to our 50 degrees beverage. A few Aussies were noted in the afternoon. Nothing spectacular from Japan either. Still checking the Mount Loran files from October 16 though, and still finding new stations! 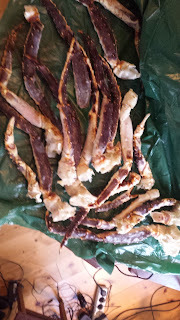 Thursday was also time for the KONG signature dish, king crab (kongekrabbe in Norwegian). Super quality crab was purchased from the Norway Seafood plant in Berlevag, baked on a salt bed and served with carbonara. Excellent wine selection: Calles Riesling Spätlese Trocken Mittelheimer Edelmann 2013. Weather update: Just above freezing, wind, snow, sleet, rain. We're very happy we don't have to do any antenna repairs! Archive photo from when the weather was better (like July). Only three full days left of the KONG35 DX-pedition, so maybe time to take a few pictures. View to the northwest from my house. View to the east, my house to the left. King crab being prepared for tonight's fiesta.